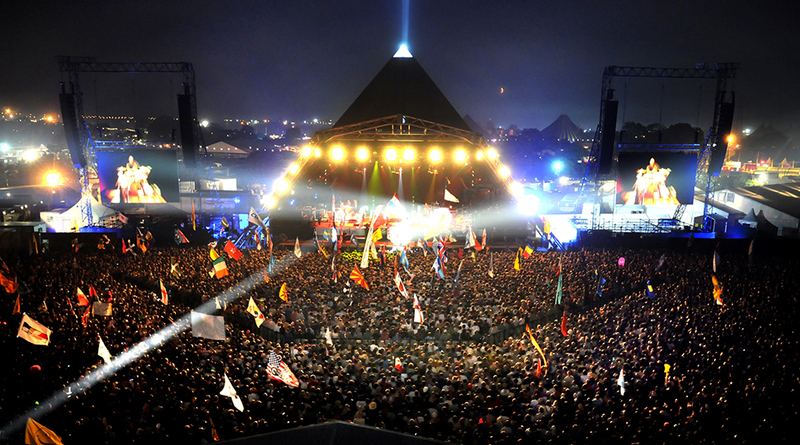 The UK has a thriving music festivals sector catering for all genres of music. Ranging in size, UK music festivals attract thousands of people throughout the year - no matter the weather! Below is a selection of festivals, which we will continue to update over time. A wide range of classical and contemporary music events, masterclasses and exhibitions make up the annual Aldeburgh Festival. Cambridge Folk Festival is one of the longest running folk festivals in the world. Held each year since 1965 it attracts around fourteen thousand people. The line-up has reflected the many changes in the music scene from the 60s to the present and is always a hotbed mix of the old and the new. The festival was the UK’s 2017 Winner of Best Major Festival and offers music, theatre, dance, film, cabaret and literature. Latitude has consistently hosted huge names from the world of rock ‘n’ roll, alongside comedians, authors and artists of every discipline. AVA is an Audio Visual Arts Festival and Conference in Belfast that happens over two days. The festival celebrates, amplifies and develops the strong current of electronic music and digital visual arts from Northern and Southern Ireland. The BBC Proms has a long and proud history. It remains predomninatly a classical music festival, but increasingly offers shows featuring jazz, pop and alternative genres, particularly in the popular Late Night Prom series. Over the last decade Field Day has slowly become one of London’s most popular music festivals, covering the world’s finest alternative acts. Originally started in Victoria Park, 2018 will take place in Brockwell Park. Events across the English capital celebrate some of the biggest names in the jazz world and also provide a platform for emerging stars. Bestival is an award winning four-day boutique music festival set on the Lulworth Estate. Popular for its hugely diverse line-ups, which includes comedy, theatre, circus and art. Brighton Festival is an annual celebration of music, theatre, dance, circus, art, film, literature, debate, outdoor and family events which has been running for over 50 years. It takes place in venues across Brighton & Hove for three weeks every May. Past guest directors include Kate Tempest (2017) and David Shrigley (2018). Big UK music showcase with plenty of music industry panels and discussions too. The festival takes place in venues throughout Brighton, taking over the city for the long weekend. Sometimes referred to as the UK's answer to SXSW, for many years we have invited international delegates to The Great Escape to see UK music for themselves and this has resulted in many future collaborations. Bluedot is an award-winning festival of music, science, arts and culture set at the grounds of a deep space observatory. English Folk Expo welcomes the world’s music industry to experience the vibrant and rapidly expanding source of folk music talent. Based in Manchester the festival takes place across the stages of HOME and nearby venues including Bridgewater Hall, Gorilla, The Ritz and more, with capacities of between 80 and 2500, all found within a few minutes’ walk of the central venue. English Folk Expo provides an effective and previously unavailable route into the English folk, roots and acoustic market. Established in Manchester in 1995, FutureEverything is a festival that explores the intersection of art, design, science and digital. It has been named by The Guardian as one of the top ten ideas festivals in the world and is seen by Arts Council England as “one of the key touch-point organisations” connecting creative communities with academic research, the business sector and policy makers. The Brecon Jazz Festival is a music festival held annually in Brecon and has played host to a range of jazz musicians from across the world. Green Man is an independent music and arts festival held annually in mid-August in the Brecon Beacons, Wales since 2003. The festival showcases literature, film, comedy, theatre and poetry and has won several awards over the years including “Best Festival” at the 2015 Live Music Business Awards. End of the Road Festival is an annual music festival in England which focuses on independent rock and folk music. World famous festival featuring big names in music, particularly British music, over an enormous site in Somerset. Away from the Pyramid Stage are many many smaller stages which feature less well known names - a great opportunity to catch emerging artists "on their way up" spanning many genres. WOMAD, the international arts festival, first took place in 1982 and is now located in Australia, Caceres, Chile, Las Palmas, New Zealand, and in Wiltshire. A festival of music, food, dance & art. Celtic Connections is a celebration of Celtic music located in Glasgow over a three week period across 20 venues. The British Council has supported the festival for many years. Edinburgh Jazz Festival was set up in 1978 by banjo-player and guitarist, Mike Hart. The Festival aims to present established jazz and blues lovers through a range of concerts. Huddersfield Contemporary Music Festival - hcmf// - is the UK's largest international festival of new and experimental music. The festival takes place over 10 days consisting of approximately 50 events – including concerts, music-theatre, dance, multi-media, talks and film – with a related Learning and Participation programme devised and implemented to reflect the artistic programme and respond to regional need.